Step into paradise in the form of your own private villa in beautiful Sosua. With a spacious four bedrooms and an open floor plan that flows from one room to the next, our Sosua luxury rentals are the definition of relaxation and enjoyment. "Step into paradise in the form of your own private villa in beautiful Sosua. 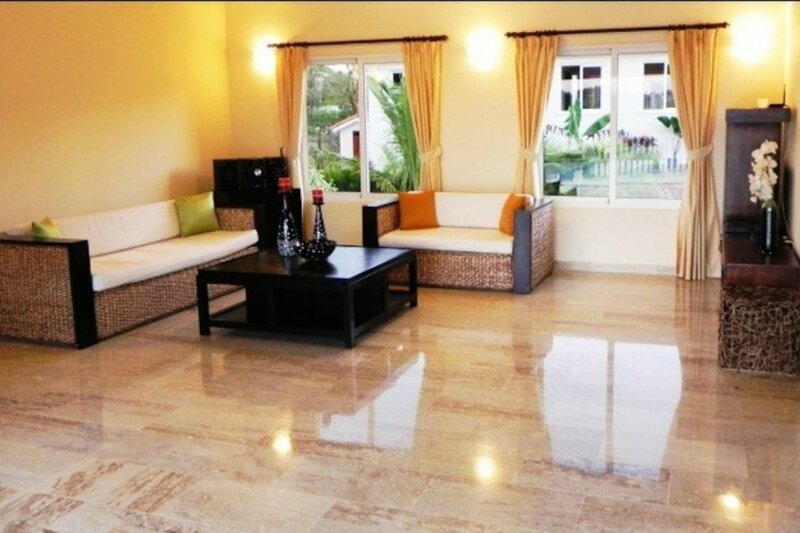 With a spacious four bedrooms and an open floor plan that flows from one room to the next, our Sosua luxury rentals are the definition of relaxation and enjoyment. Enjoy all of the amenities you could wish for including daily maid service, air conditioning, a pool and a private Jacuzzi surrounded by a blooming private garden. Spend your days indoor relaxing or head out and see all that Sosua has to offer! Find your adventurous side and go horseback riding on the beach, windsurf on the beautiful crystal clear waters or shop until you drop at the local markets and attractions. For when its time to wind down and recap the day the large private villa is equipped with WiFi!The villa includes Italian marble and is fully furnished with island furniture with a modern feel for ultimate luxury. Theres plenty of seating room for you and your guests as you entertain and make memories you will remember forever. The newly renovated kitchen is updated with appliances and food/ingredients are available locally to meet your needs. Even take the opportunity to enjoy the always sunny and warm weather with your own outdoor grill. Each room has a different and unique feel with a comfy king sized bed and access to the great outdoors for fresh air and sunshine.Book today for an unbelievable experience and a vacation both you, your guests and family will remember forever. Renting a villa in Sousa is an affordable option to finally pack your bags and get on a plane to your dream destination. Our villas are available year round with affordable rates. But do book quickly! Vacation villas in Sousa sell out quickly and peak travel dates are always booked far in advance. Dont let your dream vacation slip away!"